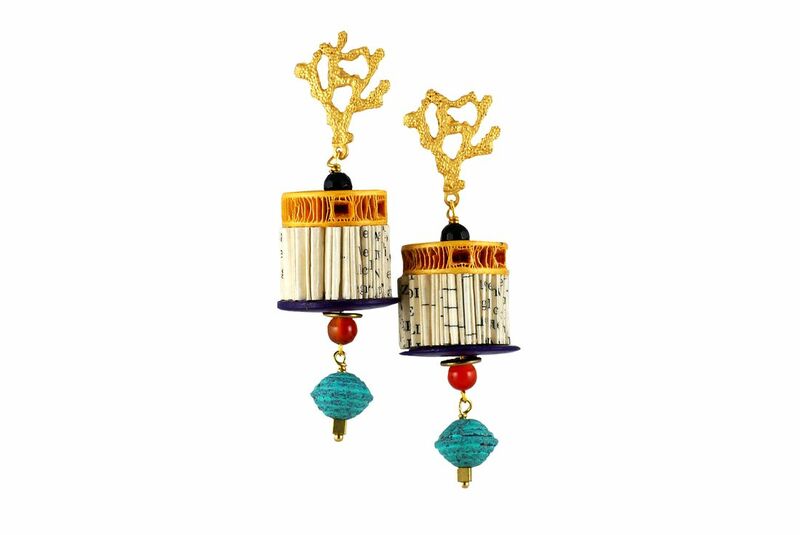 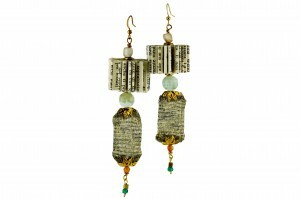 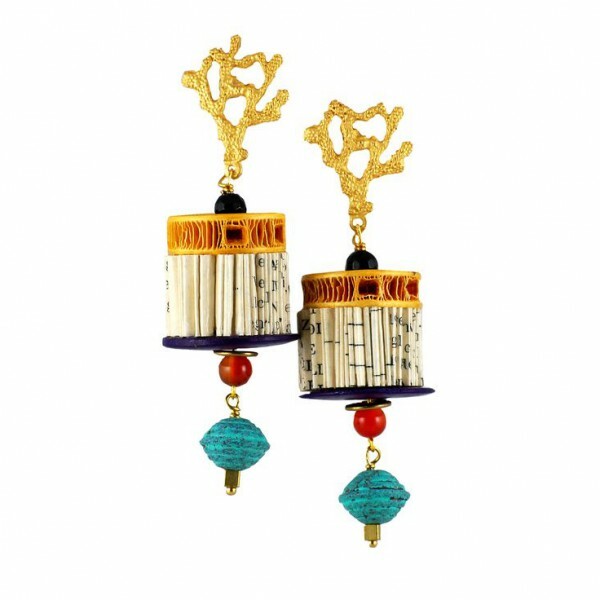 Hand made paper jewelry combined with a coral shaped gold galvanized zamak ear piece, yellow bone, black crystal beads, orange corniola, purple wooden discs, turquoise painted metal beads and brass elements. Nickel free. 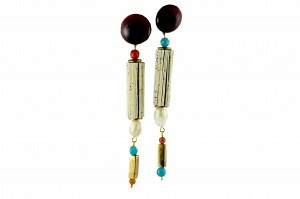 Hand folded paper; gold galvanized zamak (ear piece); wood; corniola; crystal; metal; bone; brass.